Tomorrow, all of the 200 church bells in Gotland, Sweden, will be played in unison and broadcast live over the internet. 'Belle Sounds' has been billed as 'A Very Large Concert ... with the whole world in the audience’. The Island Review has been hearing more from the project's originator, Owe Ronström. TIR: Where did this all begin? Owe Ronström: I have been working with music and sounds and soundscapes for a large part of my life. In a discussion about churches, in the pause at the local jazz club in Visby, where I live and work, it struck me that it would be fun to play all the church bells in Gotland – and there are many – as if they were one instrument. I contacted a few friends and asked them if this would be at all possible. They all answered yes, in principle. It turned out all the expertise I needed was available here in Gotland, with one exception. So I decided to make it a research project on the conditions for creativity and entrepreneurship in island places like ours. TIR: Your website states that, 'Gotland, in the Baltic Sea, probably has the world’s greatest density of churches, of which around one hundred are of medieval origin'. What’s the story behind this? OR: From the 10th to about the 12th centuries, Gotland was one of, or perhaps the most prosperous place in the region, due to trade between east and west. Building churches became a trend, almost like building football arenas today I guess. Every parish built one. There is also the city wall and 10 grand domes in Visby, all of them except one burnt during the 16th century. 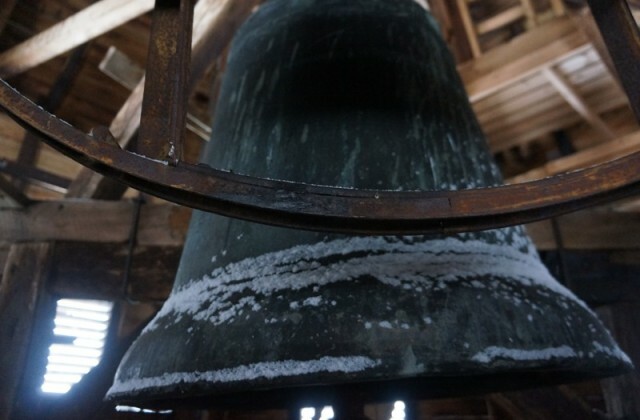 They all had several bells, but they were allowed to keep only one during the wars between Denmark and Sweden in the 16th century – they needed the material for cannons. TIR: What do you hope the project will bring to the people who live in Gotland? OR: I hope to show that even if it is true that we islanders, marginalised in today's world, may not be able to change systems and structures, we can act symbolically, and let ourselves and the world know that small places can have a big voice. I hope to be able to give an example of what can be done by using the things that we already have around us, instead of always complaining about a lack of resources. As in so many island societies, questions about transport, tourism, work, sustainability that pop up all the time. There is a certain distrust about the future which makes many young people move away. Symbolic acts cannot change much, but perhaps only bring some more courage. The concert will be broadcast live on radio and on the internet. You can find out more or listen live online at the Belle Sounds website. The performance begins at 11am Swedish time on Saturday 8th June. A film about the project can be seen below.